You know me and squirrels -- especially stuffed-animal ones -- so when I saw this... well, I really wasn't excited, because it seems like you'd have to carry a squirrel around with you everywhere you go. 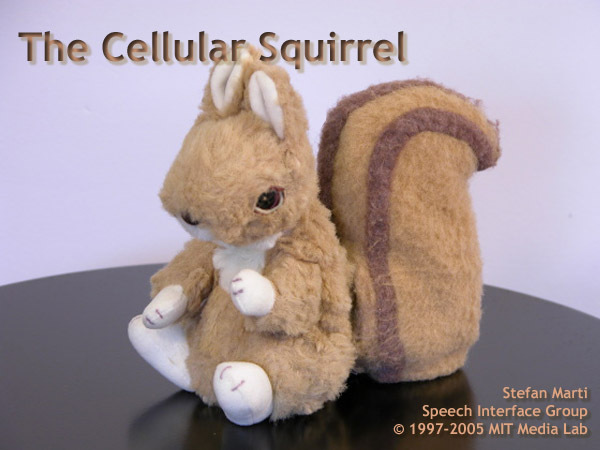 So, read up on The Cellular Squirrel and then come back here and tell me what you think -- or if you "get it". I don't think I do. Speaking of, I'm as keen as the next guy on bringing cool things like robotics into society... but do you think it'll ever work? I mean, will we really see animatronic anything as everyday household objects?